Installing double-ended dreads is easy. Follow the simple instructions on this page to learn how. Double-ended dreads are ones that fold in half so you have two ends. Dreads with a loop top are called single-ended. 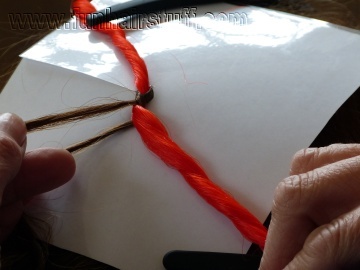 These instructions work for installing any kind of double-ended dreads, synthetic, yarn, felted wool - or anything else you can think of to make a dread with! Obviously you will need your dread(s)! You can buy packets and single dreads here! You won't need much in the way of tools. You will need one or two elastic bands to secure it in place. 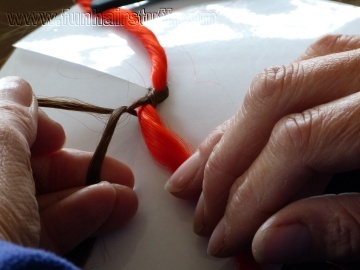 If you are installing double-ended dreads made of synthetic hair (often called synthetic dreads), look for small thick rubber bands. The thin silicone ones tend to break too easily. They work fine on felted wool or yarn ones though. A tail comb can help to section the hair neatly and a hair protector card can help you keep the rest of the hair out of the way (you'll need grips of sectioning clips to hold it in place). But these aren't essential. 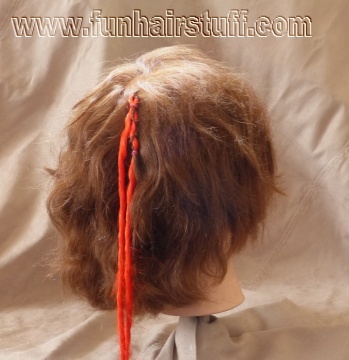 Choose the section of hair you want to install the dread into. How much hair you use is personal preference. 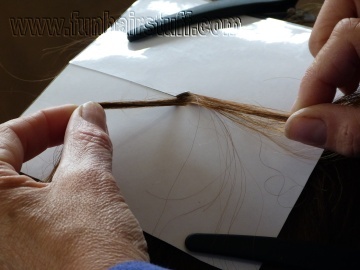 If you are installing double-ended dreads on the whole head you need to work out the size of the sections depending on the number of dreads you have. We recommend no less than 50. 60 or 70 tend to look better, up to around 80 for a really full head. 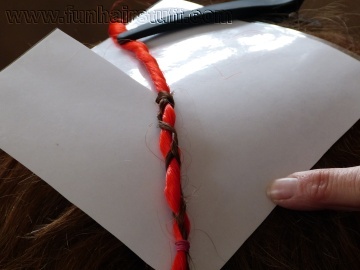 Place the hair into the hair protector card if you are using it. Secure the card with the clips. 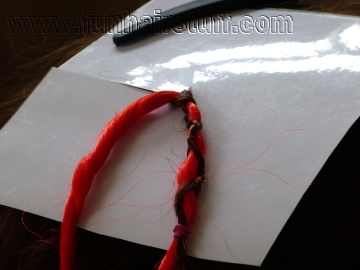 Now split your section of hair into two roughly equal parts. 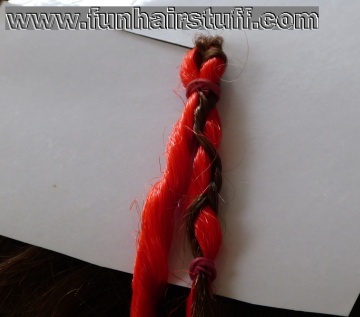 Place the centre of your dread inbetween the two sections of hair. Take the two sections of hair and cross them over on top. 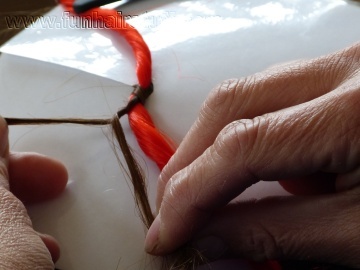 Now take the section of hair that was on the top of the cross and pass it around the back of the dread, so that both sections of hair end up on the same side. 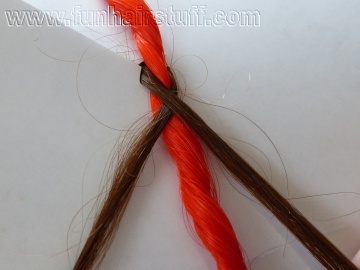 Twist the two pieces of hair around each other twice. 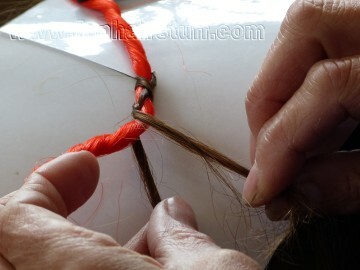 Now pass the two hair sections to the other side, one going under and the other going over the dread. 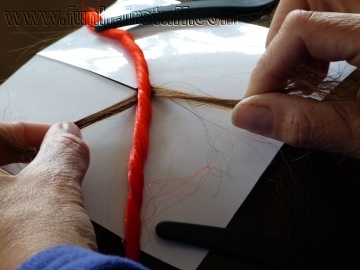 Twist the sections of hair around each other twice again. 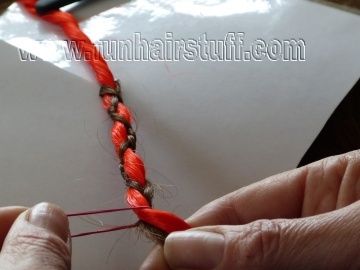 Continue passing the threads to the other side and double twisting them until you are nearly at the end of the hair. 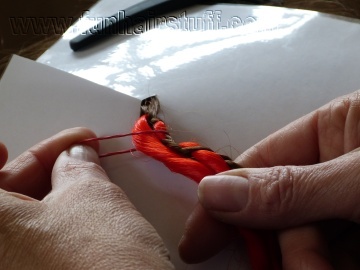 Now secure the hair to the dread with a small elastic band. Fold the top of the dread over. 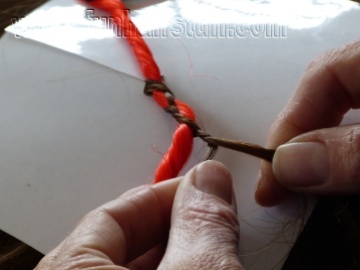 If you are installing double-ended dreads that don't fold over easily, such as synthetic or felted dreads, you will need to use another elastic band to help them fold. Yarn ones don't usually need this. And here's how it looks when it's finished!